SAP TechEd 2018 – Comes to an End with a Bang(…lore). I had the privilege to attend the SAP TechEd 2018 at Bangalore, the final edition for the current calendar year. After a gap of 10 years since my first TechEd, it was a return back to the world of SAP community in-person. Some new things, some same old good stuff and few delicacies were on offer in this edition. I take the opportunity to share some of my experiences. The first day, was exciting to walk into the huge auditorium filled with SAP enthusiasts, customers and partners gripped and attentive towards each word spoken by Bernd Leukert . From the first moment, it was clear that the focus was Cloud, Cloud Foundry and API Hub. To me, that set the tone for the coming three days of extremely enlightening knowledge filled sessions. I walked out to the Developer Garage, which was a new welcome addition to the TechEd. I bumped into @Joshua bentley. He was friendly and convinced me to take up a tutorial on Android. I ended up completing the course and had a couple of nice gift hampers in return. I had some great exchanges with Joshua and we met the next 3 days until he happened to fly back to the US. Hopefully, his fears of transit through London didn’t come through. The Developer garage was a very cool addition to the TechEd, giving the community members access to the machine and the mentors/gurus at the same time. Watching Craig Cmehil , Joshua and others walking around and interacting created a lot of interest and I observed people sitting on floors with their laptops. There’s no substitute for good old coding. I personally enjoyed the Code Jam – Mini edition and Code review theatre sessions. I made sure I attended as many as possible. The best part of them was, It had some latest and relevant technical hands-on sessions. Opportunity to create Hana service in an hour or working with the latest Fiori elements was exciting to me, to say the least. Code review was a more in-person discussion on a particular topic. But, for a developer, it was something akin to a fast food. Ready to eat. 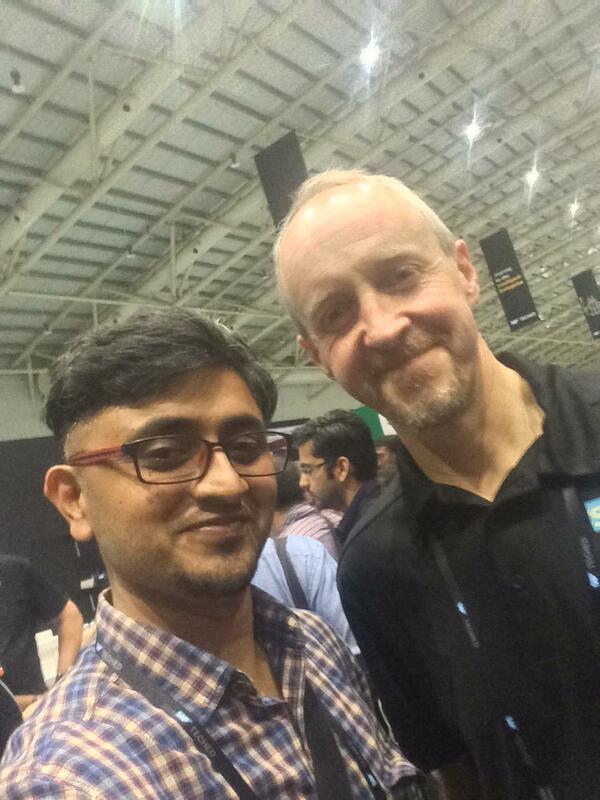 I enjoyed my interactions with Ram and Gowrishankar from the SAP UI5 team. Finally, I bumped into some old colleagues. Previous managers, some acquaintances and new connections. So much happened in 3 days that the experiences and memories are going to linger around for a while. I take the opportunity to thank the SAP Team for putting up a great show. Apart from the crowded lecture sessions, everything else around seemed to address a section of the audience. Finally, we all took something away from the TechEd, not to forget the great food at lunchtime with some soothing Carnatic music. All in all a great event and an even better experience. I look forward to the next edition. For a quick highlights package of the SAP TechEd, please check the youtube link https://youtu.be/OvEtU6O-oBM shared by Idit Herzog . I’m extremely happy to see and hear you sharing your thoughts and that the event was worthwhile for you! Thank you for posting the selfies, I can add them to my collection as well! My Pleasure. Thanks to initiatives where tickets were granted based on a tutorial contest that Community developers like me got the chance to participate in the event. It would be appreciated if you could embed the highlights video from Bangalore: https://youtu.be/OvEtU6O-oBM. I will definitely plug in the video link. 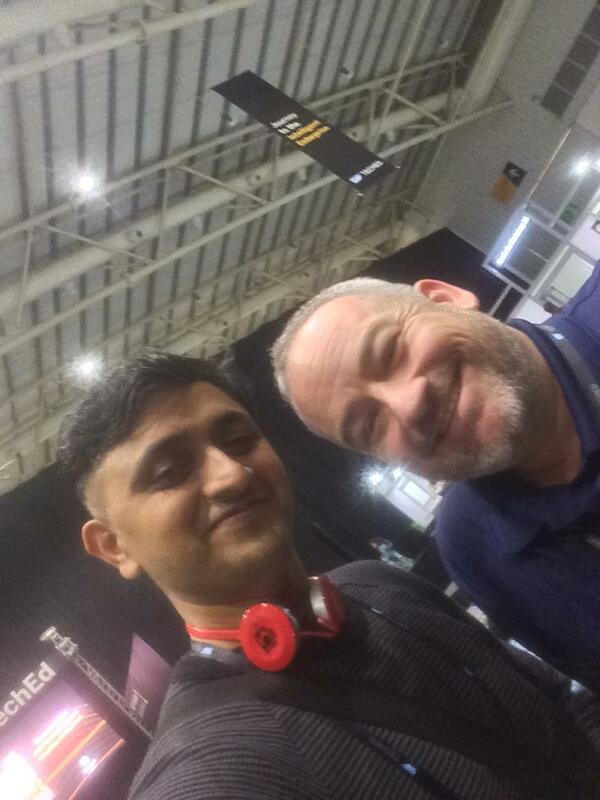 Hey Sharath – it was great to meet you, thank you very much for coming and saying hello! Likewise. I look forward to future opportunities to interact and share.